Real estate professionals can save time, prevent errors, and provide an excellent customer experience by installing an effective closing cost calculator widget on their website. In this article, learn what to look for in a closing cost calculator for your title company, real estate agency, or lending institution. What’s a closing cost calculator? A closing cost calculator is a vital tool that calculates all the fees and costs associated with closing on a real estate mortgage loan. It can be an app used by agents on their phones, or a widget that’s installed on a website. In some cases, companies offer both options (making it doubly helpful and usable on all devices). While some closing calculators are clunky, offer few options, and require multiple pages of data collection, others stand out for their ease of use and streamlined design. In the past, the real estate industry used spreadsheets, price sheets, rate charts, and other forms to compile estimates. This can be effective but takes a lot of time, rate reviews, and paperwork. Thousands of forward-thinking title agencies, brokers, real estate agents, and lenders now rely on closing cost calculators to pull together estimates. These estimates can be done in a matter of a few minutes or less and offer many benefits. In fact, the right calculator widget installed on your website can do more than help your agents work faster and close more deals; it can also capture new leads online and grow your business 24/7. So, what should you look for in a closing cost calculator? The primary goal of this tool is to make the task of generating an estimate easier and quicker. If it is cumbersome, requires complicated logins, doesn’t work accurately, requires too much information, or isn’t usable on certain devices, it won’t get utilized. However, the right calculator is a powerful tool in creating fast, accurate estimates. When you are selecting a closing calculator, here are some key features to look for. A closing cost calculator should be usable on various mobile devices and desktop computers. Most agents are busy and on the go; sometimes they’re at a desk, but they spend a lot of time traveling to meetings, visiting with lenders and clients, and attending closings. Agents need to be able to do a quick title estimate whether they’re sitting at their desk or using their mobile phone out in the field. So, make sure the calculator you select for your agency can be installed as a widget on your website (to give visitors a quick title quote), and is available as a mobile app, so agents can create estimates on the devices they use and trust daily. Offering a solution that can be used on just one of these options won’t be as effective or useful and ultimately will interfere with the way your agents are getting their work done daily. Since the workday of an agent can vary widely, with many working into the evening and weekend hours, it’s critical to have tools available that enable agents to do their best work anytime, anywhere. Many agents ask, what should be included in an online closing cost estimate? 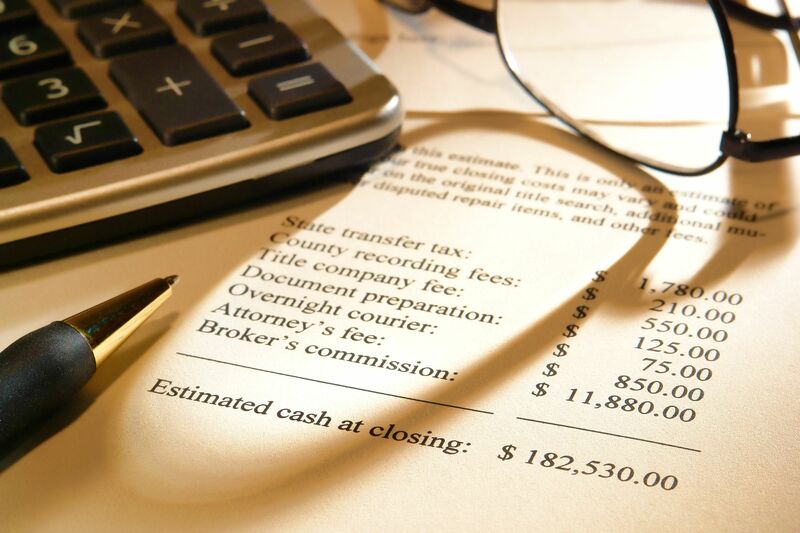 Closing cost estimates need to include all of the fees and charges associated with getting a mortgage loan, including loan origination fees, home appraisal costs, notary and legal fees, the cost of getting credit reports run, state taxes, the first property insurance premium, underwriting and processing fees, and other items that need to be paid upfront at the time of closing. Because of these variables, it’s critical to use a customizable closing calculator that offers for multiple fee schedules and multiple underwriters. The best calculators allow you to create reoccurring custom fields associated with your agency or location, so these fields don’t need to be entered in manually every time the form is filled out. Only a few companies offer this feature (including TitleCapture). A closing cost calculator must be visually appealing. A clunky closing cost calculator that looks off-brand or unprofessional has no place on your website. While utility is extremely important, clean and professional design is also critical to the credibility and usability of this essential tool. It has to look good on your website and on your agents’ phones. There are some closing cost calculators that go a step beyond visual appeal and offer the ability for real estate and title agencies to customize the display of the calculator with their own logos. This is an excellent way to help your agency build value and credibility. When your customers use a closing cost calculator that is branded with your real estate or title agency name and logo, it builds brand awareness and loyalty. Some closing calculators require a high fee for this customization service, while others (such as TitleCapture) offer it free as part of the service. When comparing calculators, look for value-added features and usability. How much information is required upfront? There’s a happy medium between not enough info (which gives a poor quality estimate) and too much info (which makes buyers impatient and annoyed). Some closing calculators allow multiple fee schedules and multiple underwriters, which is a very helpful feature. Some also offer additional features like client activity tracking and CRM, social media sharing, printouts inside the app, streamlined title ordering, and tracking the status of all transactions and deals on any device. 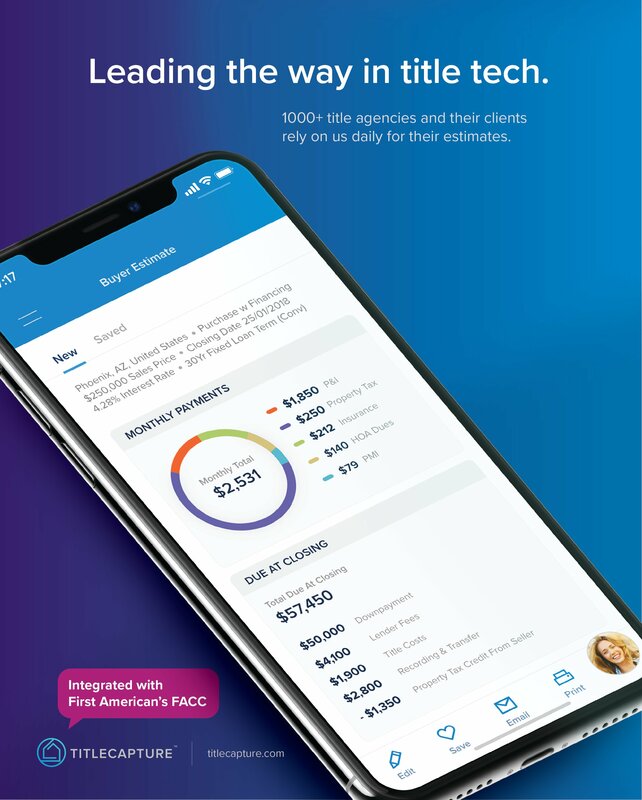 Each of these features can support agents and brokers in their responsibilities and make it easier for them to provide an organized, customized estimate for their clients. This provides customers with an excellent user experience and increases profitability. Using a customizable closing calculator app can save agents time and money. When installed on your website, it offers valuable information to casual website visitors, who can turn into clients and help your business grow. Best of all, an effective closing cost calculator provides an excellent customer experience for all those involved in the real estate industry. And that’s good for everybody, from the new home owner to the seasoned mortgage broker.